Primate Conservation Inc.’s mission is to provide support for projects that study and protect the least-known and most endangered primates in their natural habitats. This is our 24th year of giving small grants and matching funds to help graduate students and conservationists. 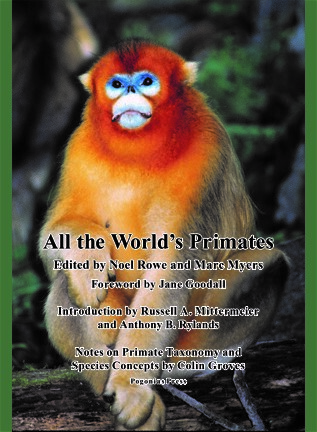 My colleague Marc Myers and I have finally finished editing the All the World’s Primates book. It was published in November 2016 by Pogonias Press. It is lavishly illustrated with over 1,800 color photographs and a few drawings of all the known primate species and subspecies. Succinct information written by more than 330 experts covers each of the 505 species, with over 5,000 references. 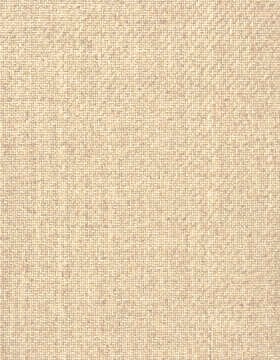 A hardcover or soft-cover edition can be purchased with a 33% discount off the retail price at www.pogonias.com. In the two decades since The Pictorial Guide to the Living Primates was published, greatly increased fieldwork and new molecular and genetic techniques have furthered our understanding of the true diversity of our primate order. Now, more than twice the number of the species are known. Since 1990, a total of 108 species and subspecies new to science have been discovered, including 5 new genera. Madagascar had 52 species, Central and South America 27, Asia 17, and Africa 12. These include 61 prosimians, 44 monkeys, and 3 gibbons. If you haven’t supported PCI yet, you can donate by credit card or PayPal at www.alltheworldsprimates.org. Members are rewarded with access to our exclusive website, which has well-referenced information, as well as photos and video and audio recordings of all currently known primate species and subspecies. More than 90 individuals can be seen eating on the ground in this photo. 3Alexandra Miller studies the social organization of Adolf Friedrichs’s Angolan colobus monkeys (Colobus angolensis ruwenzorii). She recently reported counting 512 individuals crossing a main road. These monkeys eat fruits, lichens, mature and new leaves, and flowers. They come to the ground to feed on terrestrial herbaceous vegetation such as Sericostachys sp. and Impatiens sp. While on the ground, they appear to stay in their family group and are often on the alert for chimpanzees, which are known to kill and eat them. In the photo at the top of the page, they look as if they are waiting for a family photo to be taken. 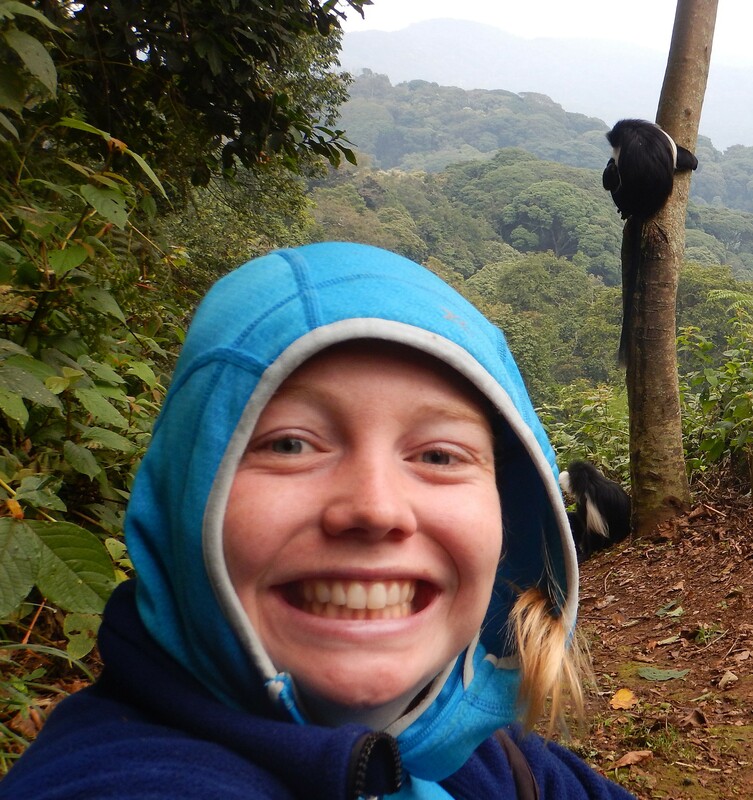 Alexandra, happy to be so close to the colobus. 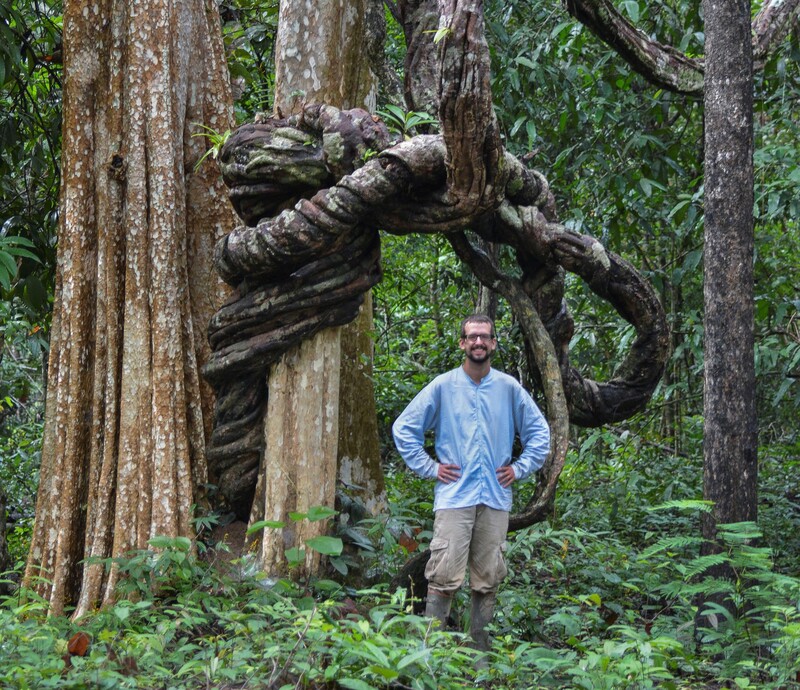 Alvaro Gonzalez-Monge conducted his PhD project at Veun Sai’Siem Pang National Park, in Ratanakiri Province, Cambodia. He originally planned to study douc langurs but changed his dissertation subject to the Annamese langur (Trachypithecus margarita) because very little was known about this species in Cambodia. Initially, his focus was on the species’ socio’ecology and taxonomic placement. 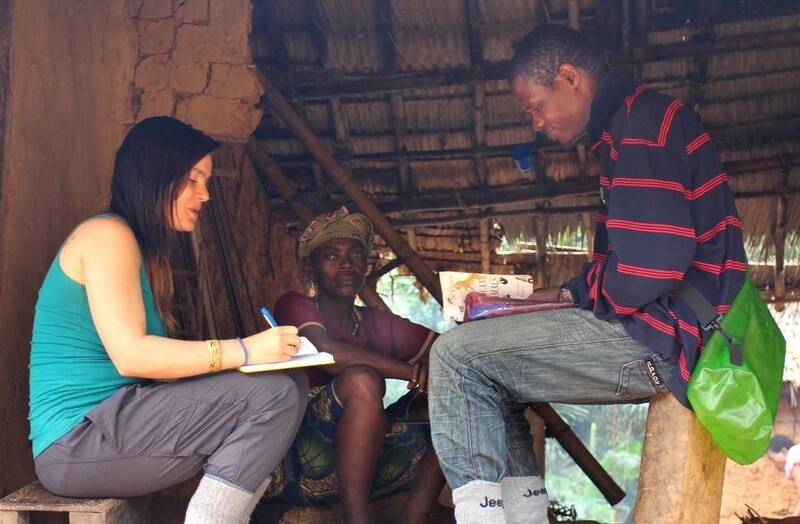 However, because illegal logging was rampant in the area at the time, he decided he would also study the effects that this disturbance had on the group’s behavior and habitat use. 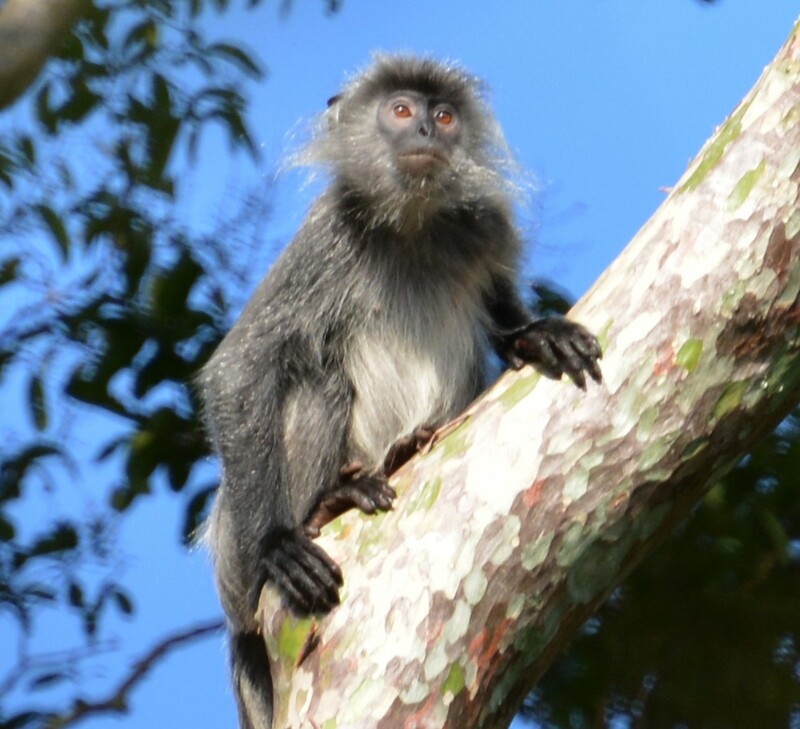 Alvaro found that these langurs were somewhat resilient toward human disturbance and were highly adaptable in their resource use, but logging had a significant impact on their ranging and habitat use. The langurs moved higher in the canopy as logging intensified. 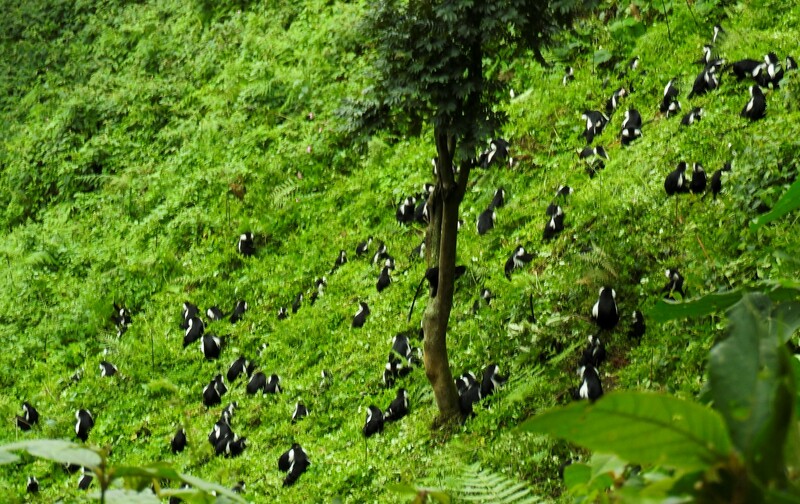 The study group even abandoned sections of their home range after heavy logging was carried out. Alvaro observed that the langurs slept and fed on the seeds and leaves of some of the tree species that are actively sought by loggers, which is cause for concern if logging remains unchecked. This study has helped increase our knowledge about one of the least-known species of Indochinese primates, but it also provides local people with an alternative livelihood as research assistants, which helps protect the natural heritage of the Annamitic region. 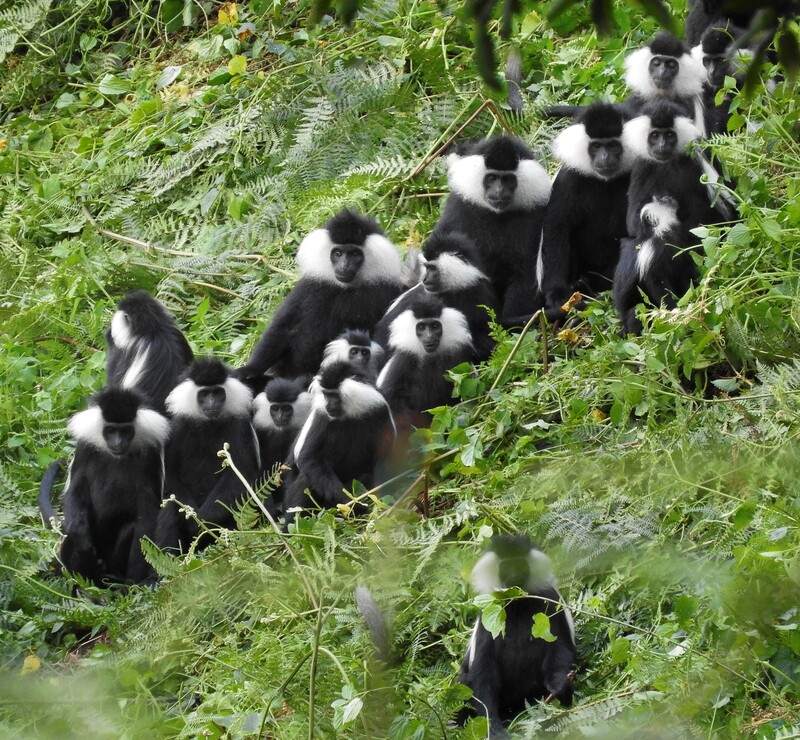 One of the best photos ever taken of Piliocolobus preussi. 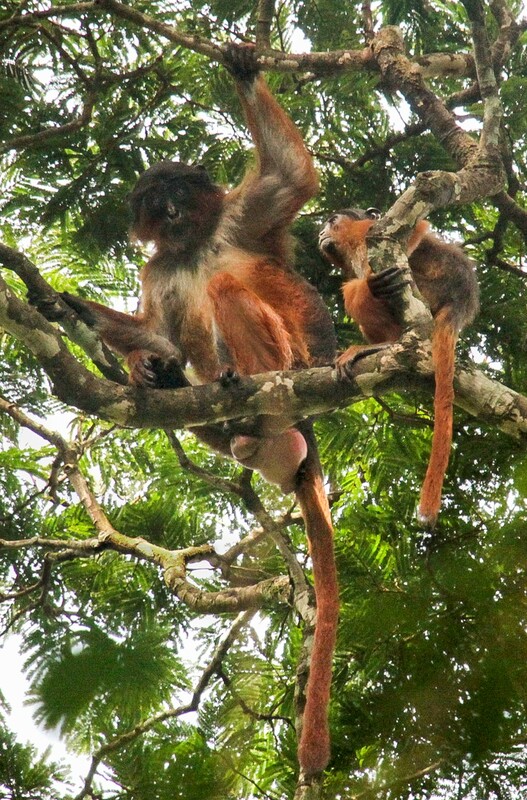 In studying Preuss’s red colobus (Piliocolobus preussi), Alexandra Hofner found that in one month 107 diurnal primates were killed by Ikenge hunters; Cerco’pithecus nictitans made up 41.9% of the reported offtake, C. mona 29.9%, C. erythrotis 12.2%, C. pogonias 12.2%, P. preussi 2.8%, and Mandrillus leucophaeus 1%. Alexandra suggests that because of steep population decreases in some primate species (such as P. preussi), Ikenge hunters may be targeting more abundant primates. PCI is an all-volunteer, tax-deductible private operating 501(c)(3) foundation. Since our first grant in 1993, we have supported with full, partial, or renewal funding more than 500 projects in 28 countries with primate habitats. Projects in Asia have received 40% of our funding; Africa, 32%; Madagascar, 22%; and South America, 6%. If you would like to contribute to PCI or would like more information on a specific project, please contact me at the address below. To keep our overhead to a minimum, so that as much as possible of the money raised is used to support field conservation projects, this is our annual appeal for your donations. Please do not forget about this, as you will not receive other mail from us, nor will we share your name with others. We appreciate your support and hope you will give generously to help fund these vital projects.